Nigella sativa (NS) oil is an anti-inflammatory agent in the traditional medicine. In the present study, novel electrospun mats contained NS oil/polyacrylonitrile as a sustained release nano-bandage was studied to treat rheumatoid arthritis. It fabricated by one and two-nozzle electrospinning method. To prepare this material, various amount of NS oil as; 8, 10, 12 and 15 wt% was added to the specific polyacrylonitrile (PAN) concentration as the initial spinnable solution. In addition, Tween80 was used as an emulsifier to improve the NS oil release and limit the burst release. Chemical and mechanical properties of the nanofibers were studied by scanning electron microscopy (SEM), FTIR and tensile test. 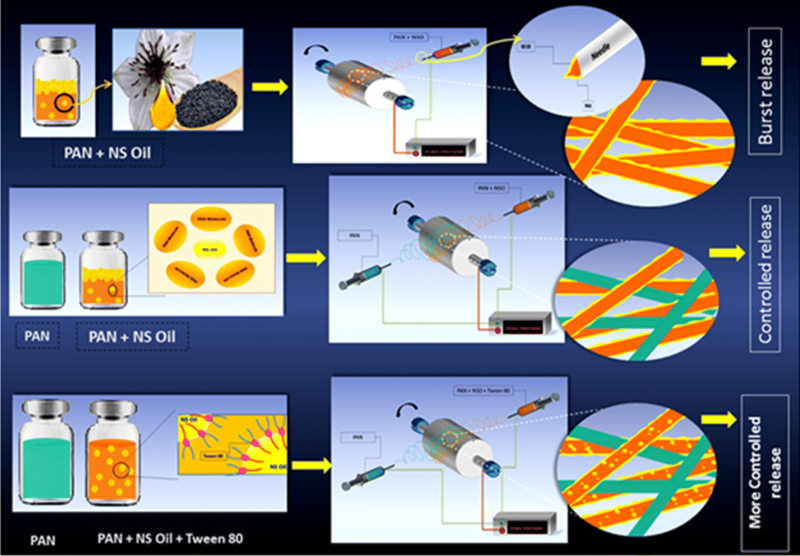 The in vitro release of NS oil from the nanofibers was determined using UV-Vis spectroscopy. The release profiles of the singular and hybrid nanofibers produced by both one- and two-nozzle electrospinning methods were compared and the results showed a desirable controlled release for hybrid nanofibrous mats in 5 days. 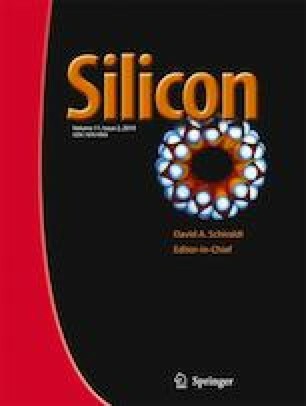 The inherent difference of PAN solution and NS oil could make quasi core-shell nanofiber with PAN core and NS oil cortex. Core-shell structure could be responsible for the observed burst release. Tween80 may cause some weak bonds between PAN surface and NS oil molecule that limit the burst release and act as an enhancer agent. The tensile modules for these samples were measured and the sample with 8 wt% NS oil was selected as the optimum case. The cytotoxicity results showed the cell viability to PAN nanofiber was almost about 93%. preparation of different types of Nigella Sativa electrospun pad. The authors gratefully acknowledge the Research Council of Kermanshah University of Medical Sciences (Grant Number: 95104) for the financial support.